A Memorial Day meditation by former U. S. Marine Charles Colson (1931-2012), for the Breakpoint radio broadcast, May 26, 2006. It was February of 1945—three months before the end of World War II in Europe. Eighteen-year-old Sergeant Joseph George of Waynesboro, Pennsylvania, was stationed in Lorient, France. It was evening, and George was preparing to go on patrol. The Americans were hoping to locate landmines buried by the Germans. Sergeant George had been on patrol duty the night before. As he told his friend Private James Caudill, he was tired—tired and scared. Private Caudill offered to take the patrol on his behalf. He pointed out that, at age 36, he was nearly two decades older than George. He told George—who had already been blown off a torpedoed ship in the English Channel—“You’re young. Go home. Get married. Live a rich, full life.” And then Private Caudill went out on patrol. A few hours later, he was killed by a German sniper. The actions of Private Caudill echo the values and valor of generations of military men and women we remember today. And they are an example of the sort of behavior we almost take for granted when it comes to our men and women in uniform who fight just wars. What is a just war? One that is defined as providing a proportionate response to evil, while protecting non-combatants, along with other considerations. Today, our military men and women around the world are fighting to resist evil. Ridding the world of Islamo-fascism—by just means—is a good and loving act. A world in which free nations refuse to fight just wars would be a world where evil is unchecked and where the strong would be free to prey on the weak—as we are now seeing in Darfur. Our soldiers’ willingness to defend the defenseless around the world makes me proud to be an American. Their willingness to lay down their lives is a reflection of how the Christian worldview has influenced our society, which is why American soldiers, by the way, are welcomed all over the world, as historian Stephen Ambrose wrote, while soldiers from many other cultures are feared. So what of Sgt. Joseph George? He returned safely home. He married, fathered five sons. 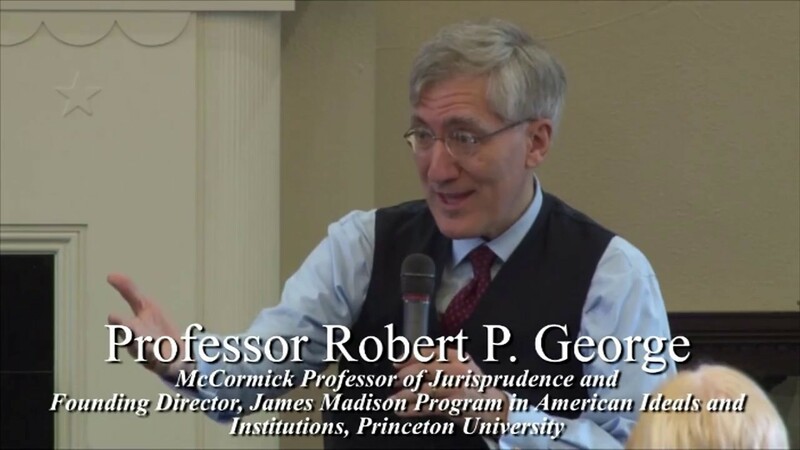 One of them—Princeton Professor Robert George—is a good friend of mine. He’s devoted much of his life to fighting the moral evils of our time. In John 15:13, Jesus said, “Greater love has no man than this, that [he] lay down his life for his friends.” The story of Private Caudill and Sergeant George makes one realize more deeply what a tremendous gift this is. It’s why the George family has remembered Private Caudill in prayers for sixty-one years. Today, Memorial Day, we ought to remember the sacrifices of all the Private Caudills in all the wars Americans have fought—and we should pray for those who are still in the field—laying down their lives for each other, for us, and for the freedom of strangers. That’s a very Christian thing to do. Romans 13:4 — The one in authority is God’s servant for your good. But if you do wrong, be afraid, for rulers do not bear the sword for no reason. They are God’s servants, agents of wrath to bring punishment on the wrongdoer. I Corinthians 13:7 — Love always protects, always trusts, always hopes, always perseveres.